Morton’s Neuroma is a condition frequently seen at the San Diego Running Institute. 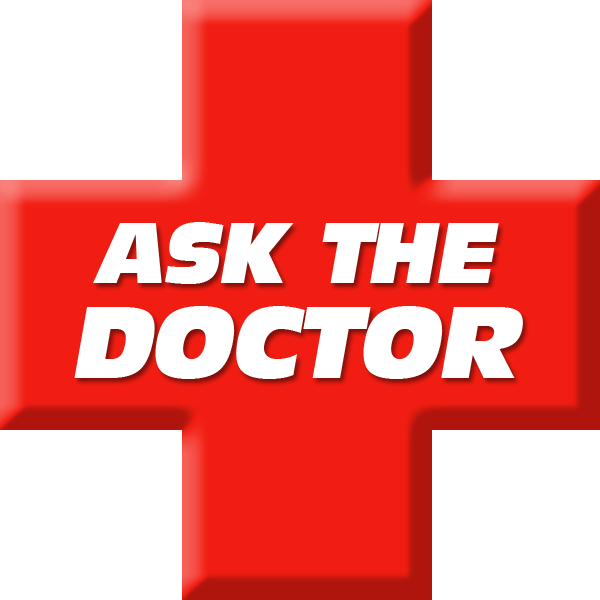 It is often misdiagnosed or confused with plantar fasciitis or Metatarsalgia. 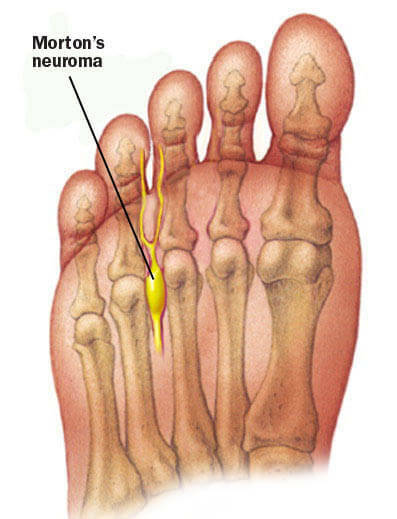 Morton’s Neuroma occurs when the metatarsal bones become misaligned and squeeze the nerve, causing pain or numbness. This condition causes shooting, burning, or electric-like pain, usually in the 2nd-4th toe. People will complain of pain in the ball of their foot, usually just behind the second or third toe that either causes numbness into the toes or shooting pain into the toes. The pain can be intense or just a dull ache that they describe but usually gets progressively worse with activity. The pain can be bad enough to cause you to stop running, and may even result in a limp. How Do I Fix Morton’s Neuroma? When the metatarsal bones are misaligned, they put pressure on the nerve. The pressure can be alleviated by aligning the bones properly so they aren’t squeezing the nerve. The San Diego Running Institute accomplishes this by using expertly made custom orthotics. Often, runners have been to a foot doctor or sports doctor who made them custom sports orthotics with a metatarsal pad (also known as a neuroma pad). When I ask the runner if it helps they will typically reply “no” and that “it does not help at all and may be making it worse”. The problem is that the metatarsal pad has been placed incorrectly on the custom orthotic. It is essential to have the metatarsal pad in the correct location in order to ease the condition. If you have custom orthotics that are not working or are uncomfortable San Diego Running Institute can fix them for you. Call us at 858-268-8525 or text 858-322-8581 to schedule an appointment. Within a week can can have your orthotics modified and helping to alleviate your Morton’s Neuroma. The nerve between the 2nd and 3rd metatarsals is inflamed due to narrowing of the space between them. This irritates the nerve which then causes the shooting pain and/or numbness into the toes. When the metatarsal pad is placed correctly just behind the metatarsal heads (just behind the painful location) alleviation of the foot and toe pain is achieved. It is not unusual for me to correctly place a metatarsal pad for a patient and have them walk pain free right then and there! If you have custom orthotics that are not working or are uncomfortable San Diego Running Institute can fix them for you. Call us at 858-268-8525 or text 858-322-8581 to schedule an appointment. Within a week can can have your orthotics modified and helping to alleviate your Morton’s Neuroma. SDRI’s treatment usually begin with Superfeet orthotic inserts, then precisely placed pads in the correct location needed for healing and pain relief. There are many different metatarsal pads available but I have found our custom made foam met pads, most convenient and effective metatarsal pads to use for Morton’s Neuroma. While this is a fast and effective treatment for Morton’s Neuroma it is sometimes not enough to fix this common foot injury. We have also found that shoes with a wide toe-box can be complimentary to the placement of metatarsal pads. Some shoe brands such as Altra come with a naturally wide toe-box and a heel to toe ration of “0” which helps take pressure off the Morton’s Neuroma. If you live in San Diego Milestone Running Shop can help fit you for the proper Altra shoe.